It's crunch time! Get yourself sorted early for the final games of the World Cup. It's been a long... three weeks? Wow. Feels like it's been World Cup season forever. Just some preliminary survey data, there's been a 3,000% increase in conversations about football, a 20,000% increase in memes about Neymar, and an increase in "where is Croatia" google queries so large, our made-up survey caught fire. And it's almost over! Last four games. 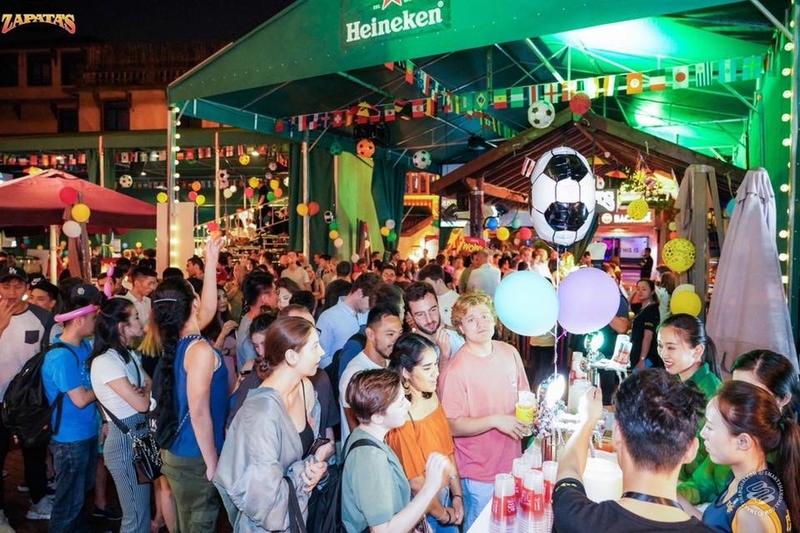 They're probably going to be packed, so here, with plenty of time to plan, are five venues where you could probably watch the World Cup Semis, Play-Off, and Finals. Go sports! 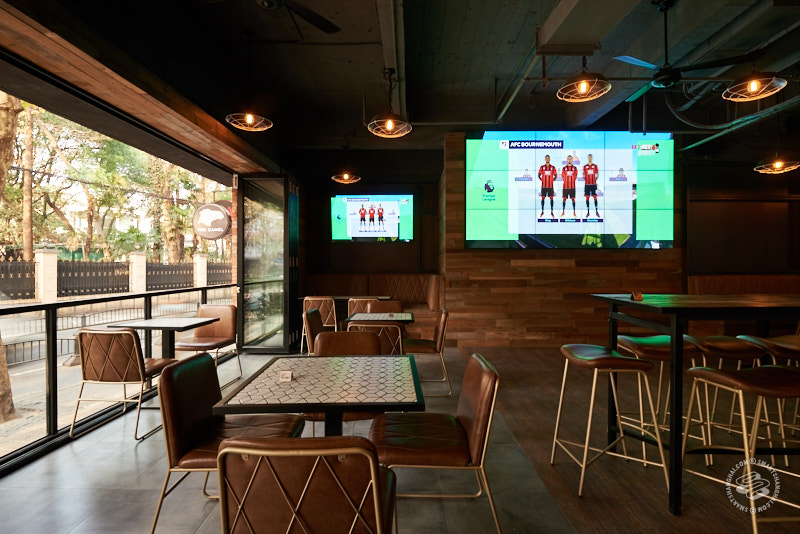 The BREW patio continues to have a big old LED screen up and a 298rmb++ free-flow beer from 10pm till 1am, and that continues for the Semis, the Play-off and the Finals. But! 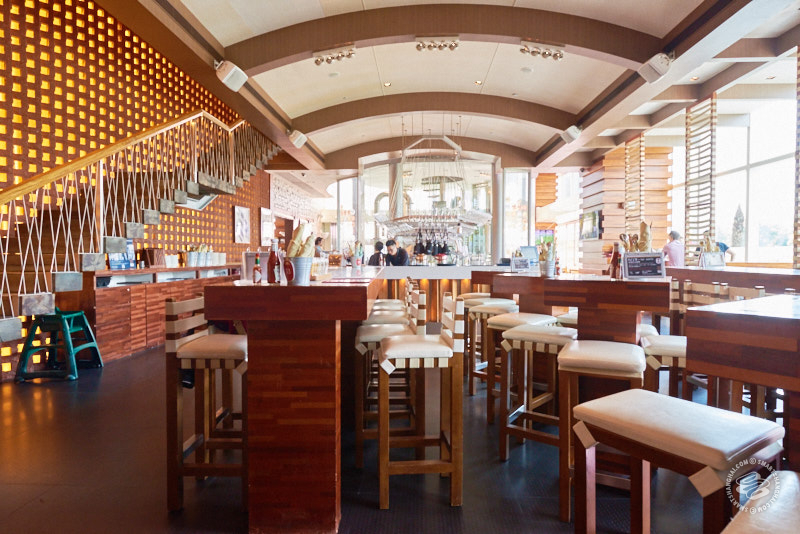 For the finals, on July 15, special deal, they're opening their 5th floor DOME rooftop event venue to 200 people. 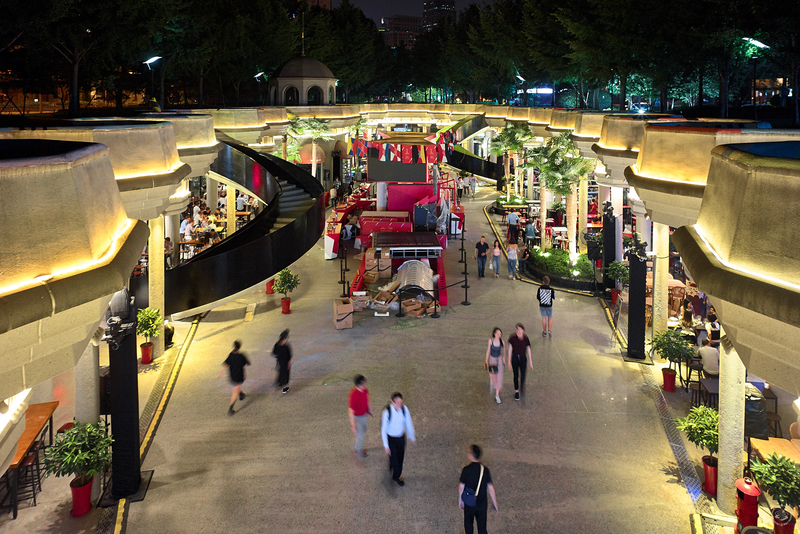 It'll be 258rmb nett for the pre-sale ticket, which gets you a snack buffet and free-flow craft beer. I'd say these are going to go fast because it's a pretty sweet deal but it's near Century Park, are there even 200 people living there? Not counting convention attendees and people under 70. Tickets where? Tickets for the DOME Finals viewing party are available at The Brew, or via their F&B reservation number 6169 8886. The regular free-flow you can just get at the bar. Cages continues to be the place everyone goes, on account of it being the only place big enough to hold everybody. 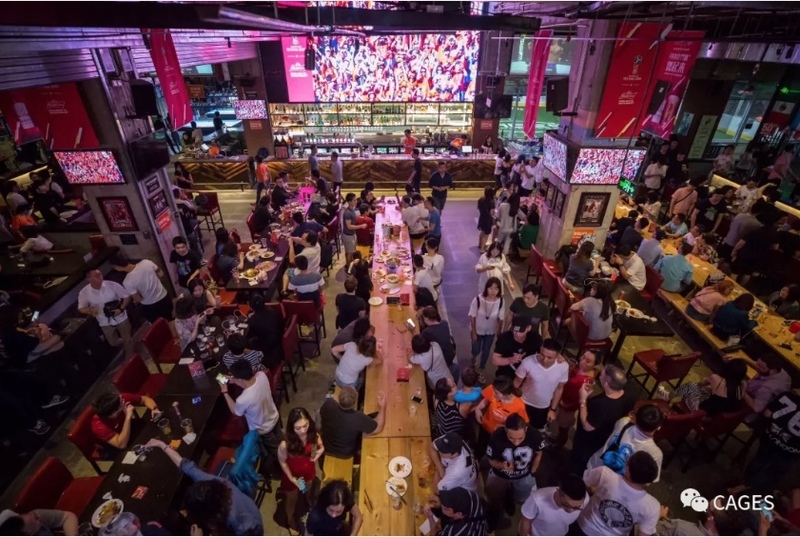 Seating capacity of 800 people, and it's in Jing'an, and they have batting cages so the inevitable football riot when Nicaragua beats Nigeria in injury time will be well-equipped. It's 100rmb to get in, and it counts towards the food and drink offerings they have available, of which there is a variety. Tickets where? Get their tickets on WeChat channel, (incidentally also their full schedule). Tickets for the semi-finals are on sale now, tickets for the play-off and the Final will be released on Thursday. Shanghai's daddest sports bar is keeping their deal the same. They're not trying to impress anybody anymore. They've settled into that long dark tea time of the soul. So you'll pay 100rmb to get in, get three drinks, and you'll step outside to smoke, thank you. Might want to get down there early, this one is pretty popular, and they only have a capacity of about 1,000 people, standing room. Whoaw, 1,000 people? Christ. Tickets where? On the door. Here's a free entry one for a change; World of Beer isn't making you pay to get in, which is a lovely break from all of this payment stuff. It gets nice and rowdy during game-times, and there're plenty of other bars nearby so the crowds dissipate pretty quickly soon as it's over, which'll leave you to nurse France's crushing defeat in peace. Recommending Found 158 amounts to manslaughter, or at least negligent homicide. Despite a 50rmb entry ticket and a persistent police presence, the sunken city has been reamed for the entire past month. A seething, roiling, heaving cauldron of humanity, beads of anxious perspiration crowning every furrowed brow, jaws and eyes fixed in steely determination on the light of a dozen screens, under the disbelieving gaze of park attendants and local residents who peek over the edge in revulsion and perverse fascination. So yeah all that beautiful wonder is still happening. Get down as early as possible if you want to avoid the fee. Actually, just get down earlier anyway, that fee is going to matter even less when it's the finals. Get down there around brunch time. 12-hour marathon. See you in the pit. Tickets where? At the gate and then at whatever restaurant you can elbow your way to the front of. Zapata's Fan Zone has been going strong, and from the pictures, looks like it's been a real joy. The vibe is pretty much the same as it always is, just the color-scheme changes a little faster than usual. It's still 100rmb to get in, which gets you free-flow Tiger from 1hr before kick-off until the game starts, and 2 standard drinks. It'll look beautiful decked out in red white and blue when Russia play America for third place. Tickets where? Right on the door, friend! 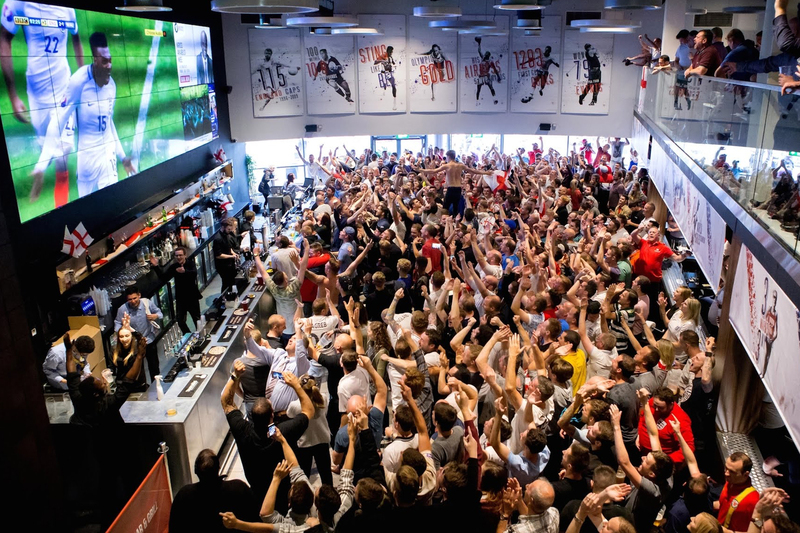 Of course, if you'd prefer to avoid what will almost certainly be way too many people, there are a lot of other places to watch the game, which we compiled into a super long list, right here.